Do you miss having "pack modes" like in previous 1.7 modpacks? Well you're in luck! 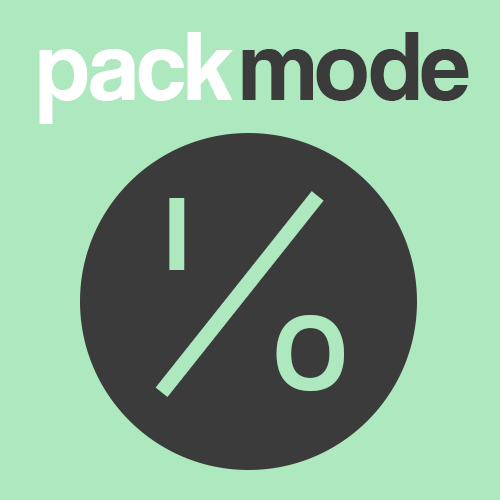 PackMode is a very simple mod that gives you exactly that... pack modes! CraftTweaker in 1.12+ works a bit different than it used to in earlier versions and as such, you CAN NOT change the modpack's PackMode modes "on the fly." To change the PackMode mode you must edit the packmode.cfg file to your desired mode, and then FULLY restart your client/server. The way this works is by only loading certain CraftTweaker zs (script) files based on how they are "flagged" for modes (referred to as "preprocessors"). The PackMode config allows you to configure as many different pack modes as you'd like, as well as which PackMode mode is default. Standard configs on PackMode's first install will default to include two PackMode pack modes ("expert" and "normal") as well as setting the pack's PackMode mode to "normal." The description mentions .zs file loading. Does this by chance do mod config files too or is that outside its current or intended scope? While I wouldn't say it's out of scope (Next release actually makes the CraftTweaker portion optional so that other mods can hook into the PackMode), the issue is, there isn't a very clean way to handle mod config files, as many are loaded by forge, before the mod even gets loaded. Yeah even with my limited understanding (VERY limited) of how this whole "mods and configs loading" thing works, the more I thought about it, the more I realised the thing I was asking about was probably, at best, the capitol of Hacktopia, New Hacksworth. And at worst, would require like, it's own launcher. Thankyou though, and the best to ya! I would love if this was possible. Even if just for a few configs. I make very combat intensive packs, and I would love to give players the option to switch the pack into a mode that loaded a less difficulty version of the few configs that adjust combat. Can you please link the 1.7.10 packmode, because I cant find it anywhere. PackMode didn't exist in 1.7.10, it's new to 1.12.